"Through the knowledge I acquired in this course and working with the instructor, I gained experienced that aided me in getting the job I have today, and enriched my career." "I started knowing nothing. At all. But quickly, with the right approach and implementation of what I learned, my ability to market my business and myself opened up new doors for my work. I can say that thanks to this, I'm getting where I want to be." "Terrific, practical information in a business training course, all with a vibrant energetic presence." 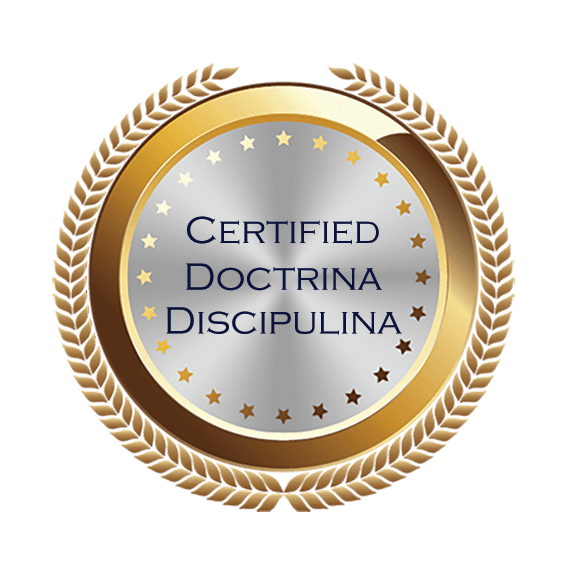 Every certificate program offered by the Academy allows you to display the Academy's Certified Trust Seal on your website to enhance credibility and communicate to colleagues, clients or employers that you are a trusted member of the professional marketing community. 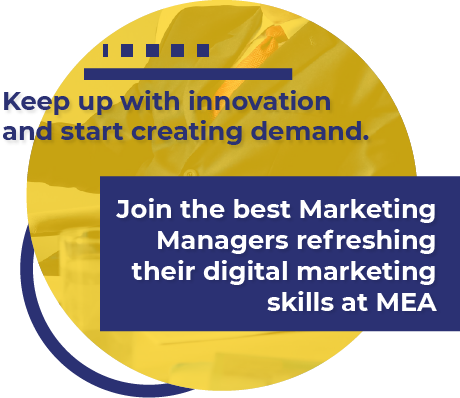 All certificate programs come with a digital version of your Marketing Certificate for display on your website, Facebook page, or LinkedIn page to inform colleagues of your achievement. 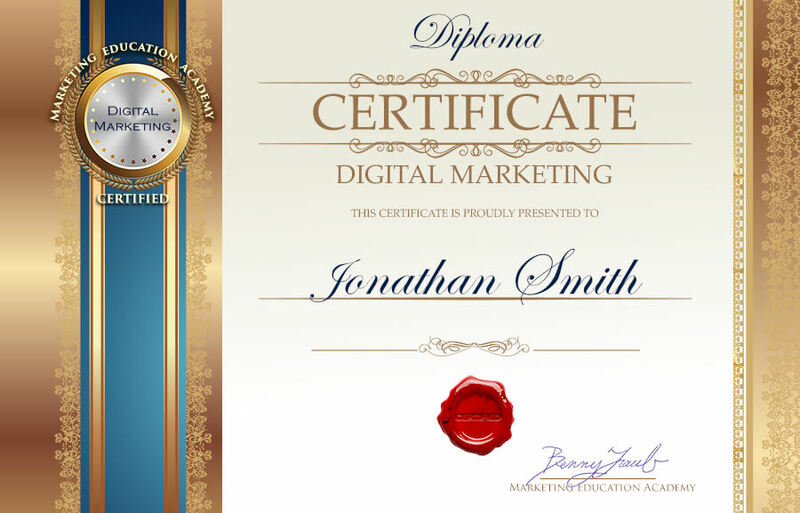 Your personalized, high resolution digital certificate is delivered upon course completion. If desired, a printed version of your certificated can be ordered for display in the office or home.